Living in Hong Kong leaves a different impression than simply visiting for a few days. Unfortunately, I never got to experience Hong Kong as a bona-fide tourist because I’ve had to balance touristy things with school. In some ways, I feel like I know a side of Hong Kong tourists don’t get to see. It’s not always a glamorous, Instagramable, foodie’s paradise; and yet, coming on my 6th month in Hong Kong, I’ve realized that just as I am beginning to know more of the region, I am also finding that I know less of it. In the past, I’ve shared city guides to some of the places I’ve been, including two food tour guides of Hong Kong. Today, I want to share something a little different. Every city has its unique aspects, quirks that make you love the city all the more. In Hong Kong, that might be the little shrines outside of the shops, or the signs in both English and Chinese. For me, I’ve fallen in love with Hong Kong street art. 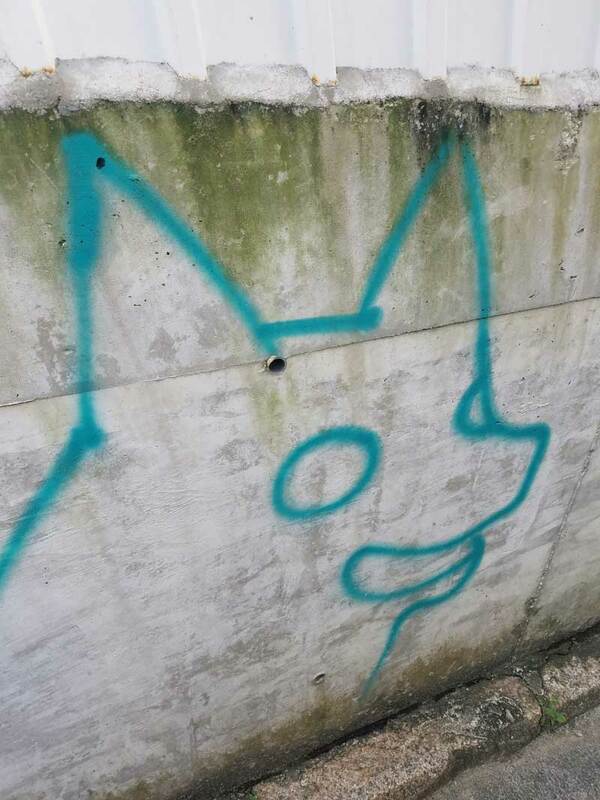 Hong Kong street art (or graffiti) is a fairly new phenomenon. Historically, (1950’s—2000’s) Tsang Tsuo Choi, also known as the King of Kowloon, used calligraffiti to challenge the British colonization of Hong Kong. His work would appear in high traffic areas around places of power, such as governmental buildings (Clarke, 2001). Besides the King of Kowloon, street art was relatively unheard of in Hong Kong. 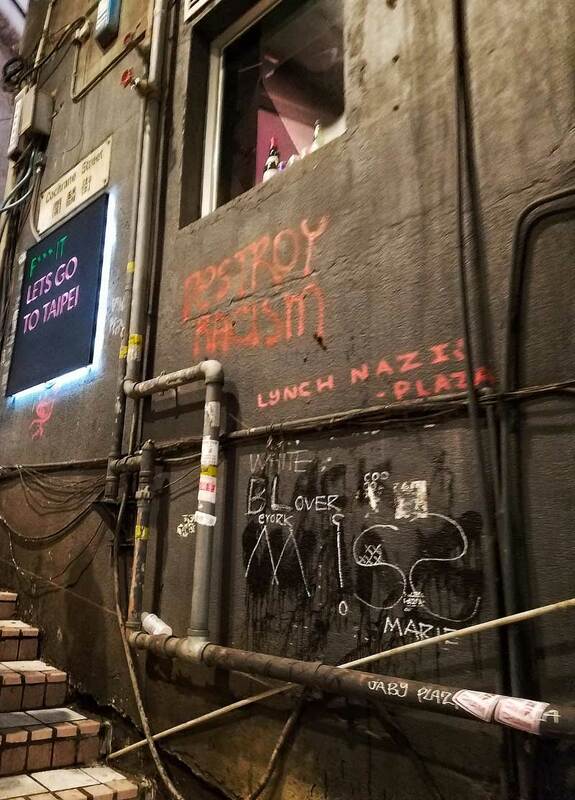 In the 1990’s, foreigners brought our modern-day concept of graffiti to Asia. In 2001, local artist Xeme began to write his graffiti, focusing on using Chinese characters. He is considered a pioneer of street art in Hong Kong for this reason (Widewalls). Over the last 5 years, street art has been on the rise in Hong Kong (MacLeod, 2016). This increased interest in street art is being pushed by galleries and museums. For example, Above Second Gallery, hosted a street art exhibition, “Work in Progress,” in 2013. Exhibitions like these have furthered the understanding of street art in Hong Kong. 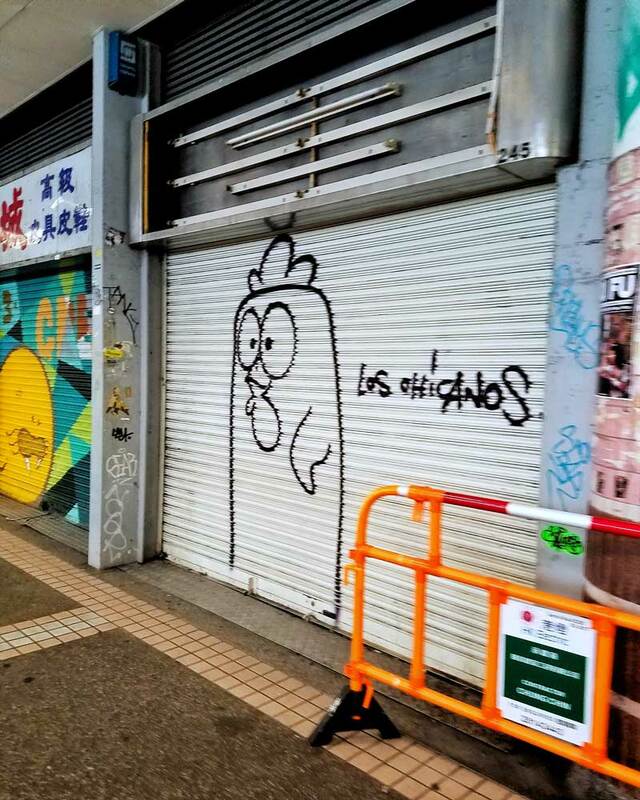 Also, city-wide street festivals and commissions have helped to spread street art in Hong Kong, including the HKWalls street art festival which has run for the past 4 years (MacLeod, 2016). 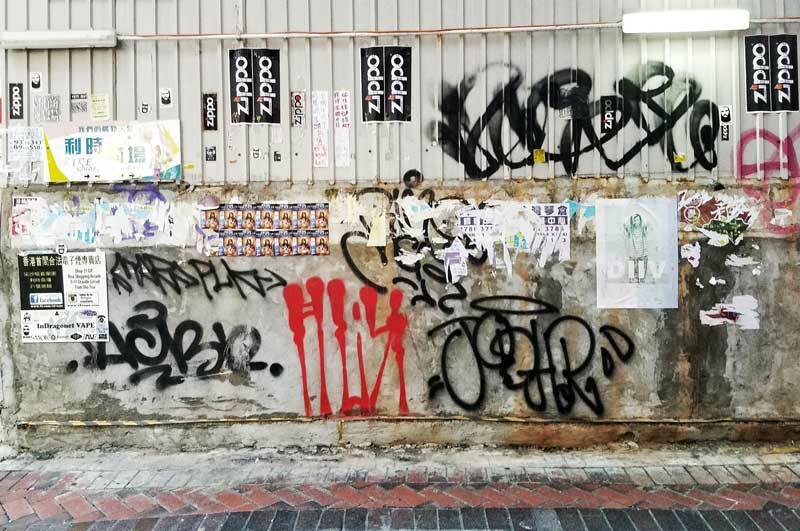 Hong Kong is built on trade and commerce, and as interest in street art increases so, too, do the opportunities for artists to make legal street art (MacLeod, 2016). 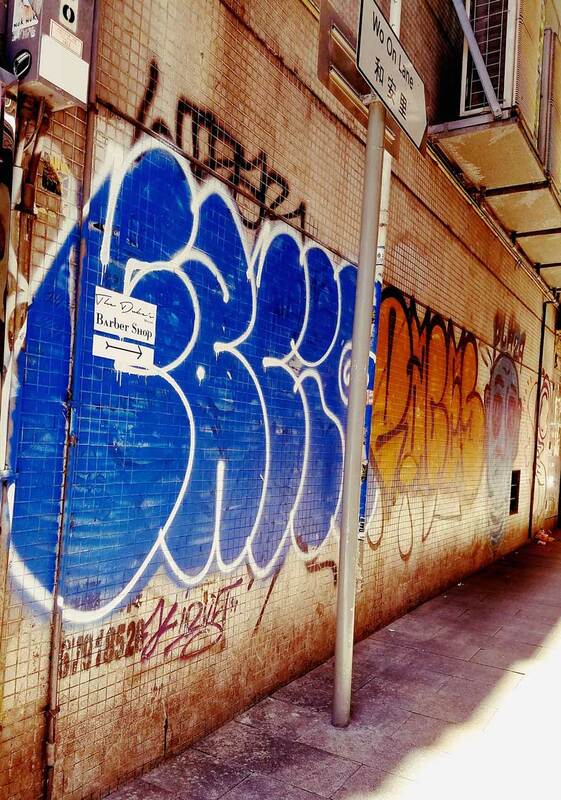 However, while many commercial opportunities exist, graffiti is still illegal in Hong Kong. It’s not prosecuted as harshly as in other places, but arrest and fines are still a reality, if caught (Mock, 2016). 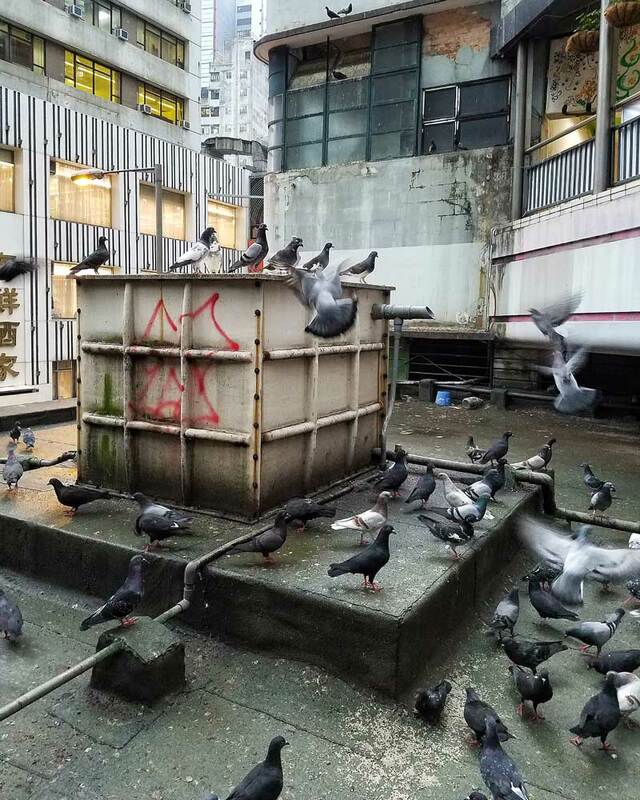 Hong Kong street art has been likened to the UN of street art, as it is so international with artists leaving their tags from all over the world (Mock 2016). 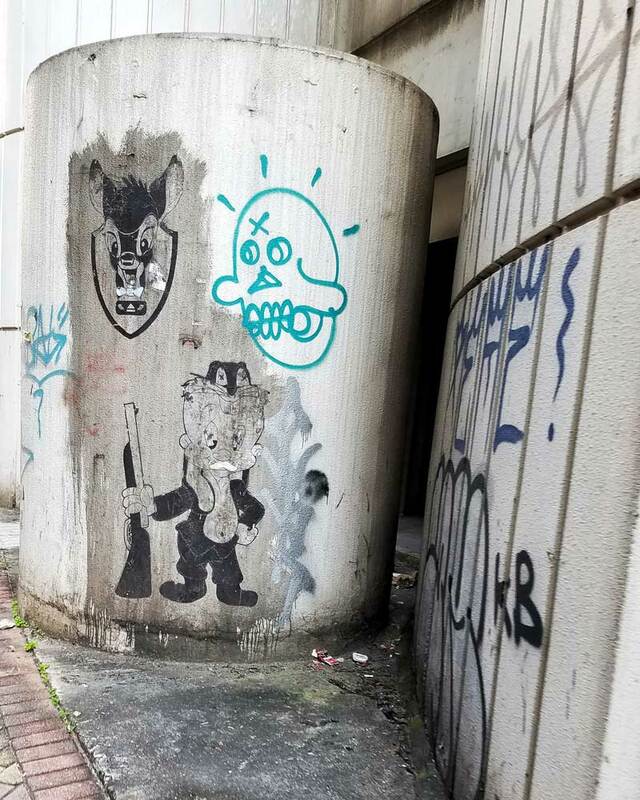 So if ever you find yourself in Hong Kong, keep you eyes open for both the moralistic works of art, as well as the smaller and more organic types of street art found in the hidden corners of Hong Kong. 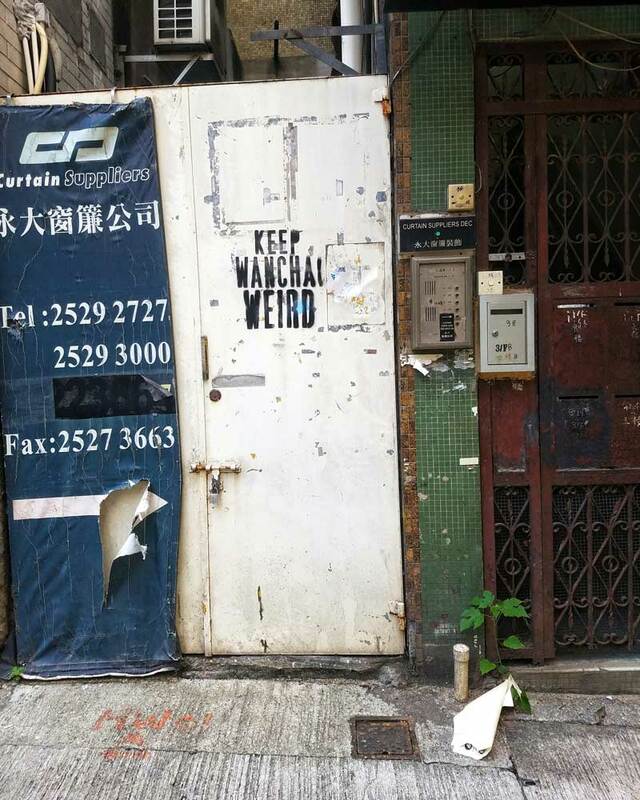 Below, I’ve included 8 of my favorite instances of Hong Kong Graffiti art. Clarke, David. Hong Kong Art Hong Kong Art: Culture and Decolonization. London: Reaktion Books LTD, 2001.